Windy City Pie is bringing some of the flavor of midwest to Seattle with Chicago-style pan deep-dish pizza. We’re not a clone of any particular pizza in or around Chicago but we are inspired by the spongier, sweeter crust of Papa Del’s and the caramelized (well… it’s technically Maillard browned) cheese edge and balance of Burt Katz’s Pequod’s and Burt’s Place. 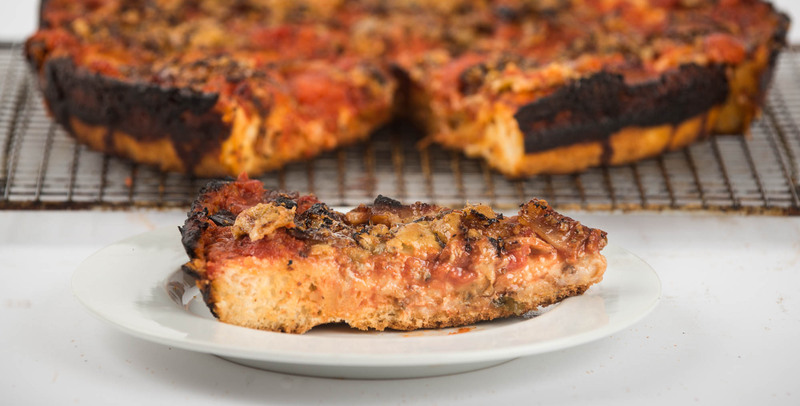 We offer a Chicago-style pizza that looks to new ingredients and techniques while respecting its traditions. Follow us on social media (Facebook and Twitter) for more up-to-date information about our availability, special announcements, or just to say hi. If you’re ready to place your order, we require that you do so electronically on our Order Page or in person during dine-in hours.